Nestled in the Surrey Countryside, Stanhill Court combines comfort, tranquility and convenience. It’s easy to forget you are only 4 miles from London Gatwick Airport and links to the M25 motorway. Built in 1881, the building and grounds are steeped in history with many original features being restored to their former glory including the sympathetic reconstruction of the existing Amphitheatre. Every bedroom is being completely updated, exuding opulence and style, with modern décor and fittings throughout. Signature bedrooms boast lovingly restored traditional four poster beds with luxury bedding, linen and amenities and far reaching views across the Surrey countryside. The Conference Centre holds up to 300 delegates and with an abundance of space in the grounds, it is the perfect spot for corporate events and team activities. Nestled in the heart of Folkestone Kent, The View Hotel is perfectly situated on the famous Leas. A 4* high quality boutique hotel that has been passionately restored and boasts 44 uniquely designed bedrooms. Situated only 2 miles from Eurotunnel’s UK terminal, the hotel is perfect for a quick stopover to and from the continent or for a relaxing break by the coast. Attached is The Cliffe Restaurant, a fantastic food and drink destination offering a variety of menus throughout the week which incorporate only fresh, Kentish produce. The bar offers a variety of soft & alcoholic beverages and contemporary cocktails to suit everyone’s tastes. The bar terrace is also the perfect spot in the summer months with comfortable seating and spectacular views. 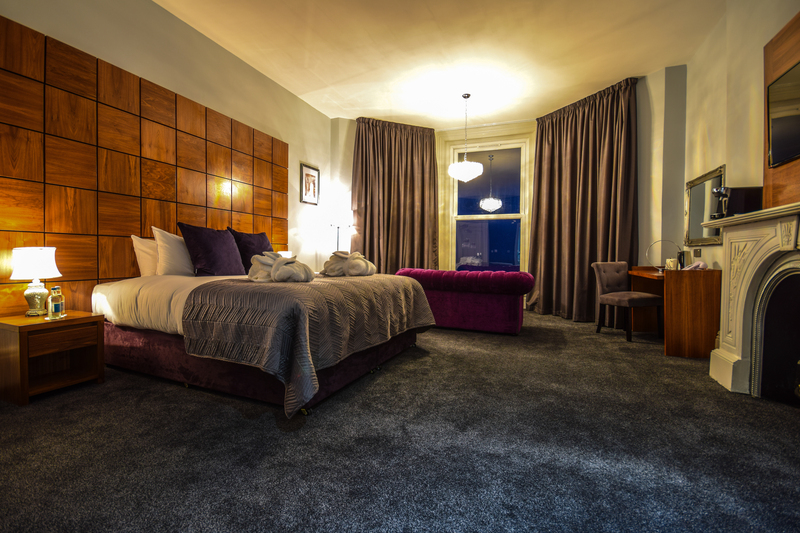 Each one of our rooms have been tastefully modernised whilst retaining many period features of the building. All rooms are designed to provide the upmost comfort, spectacular views across the English Channel and a good night's sleep.